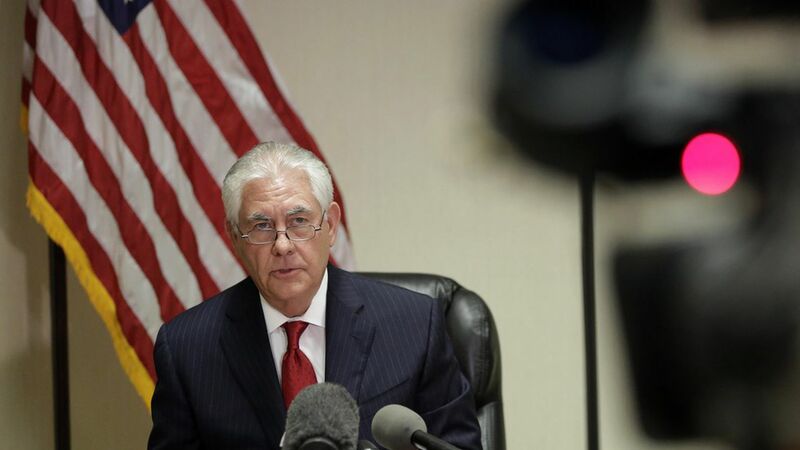 Secretary of State Tillerson told reporters Thursday that the U.S. is prepared to lead an international effort to remove Assad from power. He added that, "clearly with the acts that he has taken it would seem there would be no role for him to govern the Syrian people." His remarks echo those of President Trump who, when asked if he thinks Assad should step down, said "I think what happened in Syria is a disgrace to humanity, and he's there, and I guess he's running things, so I guess something should happen."